Throw away everything you have ever learned about classical physics. Forget about everything logic has taught you, and remove any ordinary rules of thought that every sane person uses to make deductions. For some people this may be harder than others, but for me, it's fun. Not like hydrogen bonding is "FON" but like real fun. Mr. Fullerton said, "If you understand Quantum Physics, you must be an idiot, or should have a PhD in physics." Challenge accepted Mr. Fullerton. 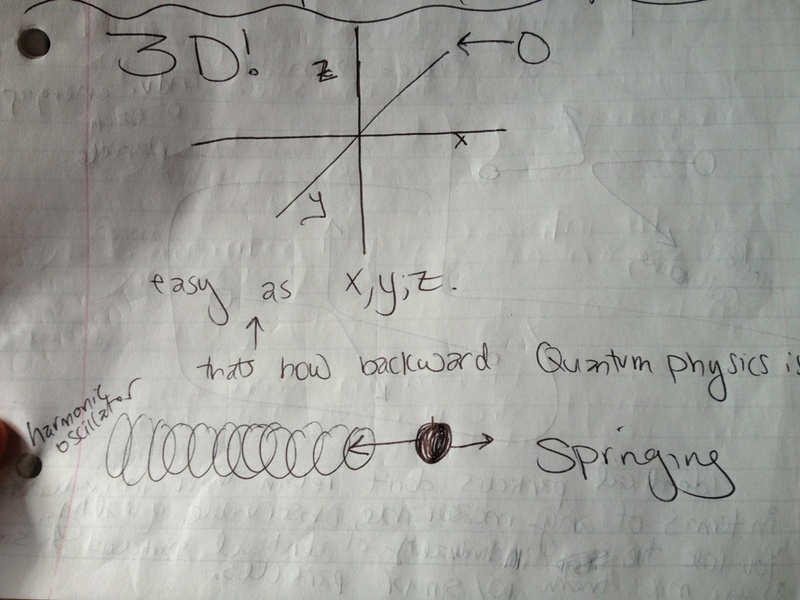 Quantum Physics is like the rebel of all science's this is why I am so attracted to the idea! Classical physics says, particle are particles, and waves are waves, and never shall they meet. Particles have an energy E and a momentum vector p. Waves, like light waves, have amplitude A and a wave vector k (where the magnitude of k=2?/?, where ? is the wavelength) that points in the direction the wave is traveling. According to classical physics, that's the end of it. However, in reality things are a bit different. There are random laws. The theories of nature are intellectually intolerable and contradicting. The idea of a random, uncontrollable element in the laws of nature did not sit well with classic physicists. This idea of the arrival of a photon was truly an unpredictable event. The final position of a photon is unpredictable. It is impossible to say where the photon is and what direction it's moving in. This fuzziness deals with the Uncertainty Principle. And by Uncertainty, in no way is this made up numbers. Uncertainty is precise, it is a fact and it is known. (Thank you Hindenburg.) 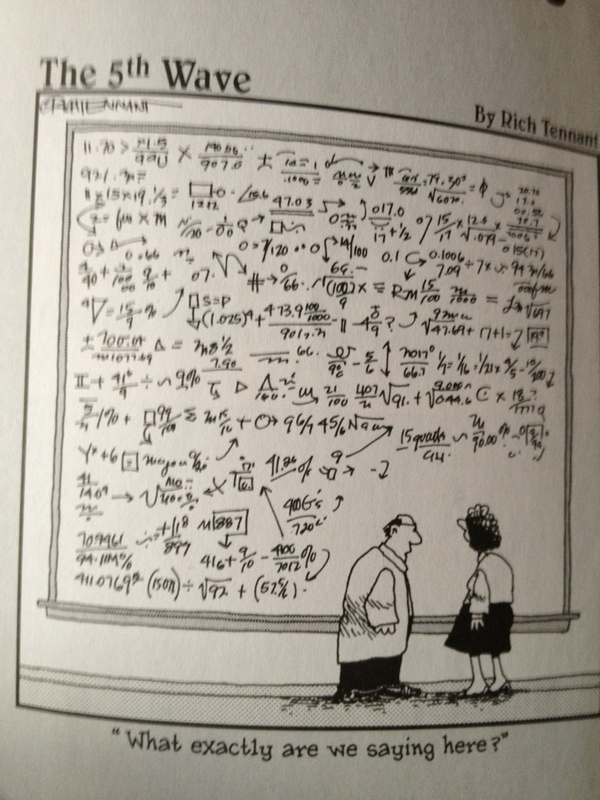 It involves probability measurements, integral calculus, and other fancy mathematics. So this uncertainty dealing with probability could be as simple as flipping a coin 1000 times. Now there is a probability of flipping a coin heads 1000 times, but I wouldn't bet my money on that. It is completely random and unpredictable as of now by scientists. This is kind of what Einstein meant when he said "God doesn't play dice." He flips coins. Just kidding! But there has been some controversy over this with Stephen Hawking challenging Einstein's claim, and presenting an idea which could possibly allow scientists to tell the future. The end of time is the next revolution in physics. 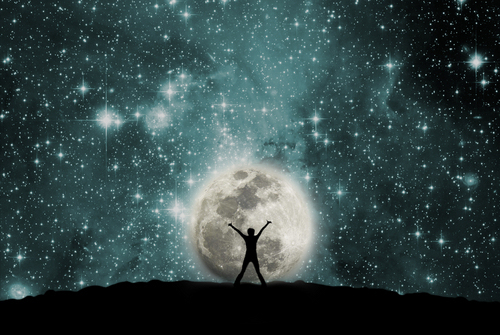 Scientist are describing time as something that happens when nothing else does. Others believe if nothing happened, if nothing changed, time would stop. Kind of like if a tree fell in a forest with no one there, would anyone hear it? But this new claim in science questions, and proves time doesn't exist. A timeless universe is intensely temporal. 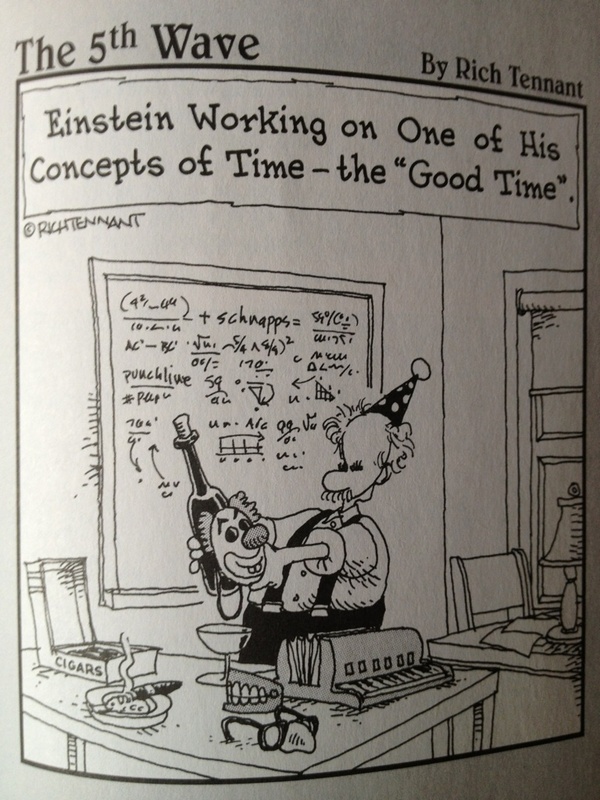 This new theme casts doubt on Einstein's greatest contribution, the space-time continuum. The problem? The great chasm between classical and quantum physics. Einstein's general relativity and quantum mechanics may well spell the end of time. This is the mystery of the universe: multiple worlds, time travel, immortality, and the illusion of motion. This is the most fascinating thing I have ever set my eyes upon. This is the Stern-Gerlach experimental apparatus. The result expected for atoms in an l = 1 state (three components) is shown. The angular momentum is l=0 and z component of that angular momentum is 0. These silver atoms spin up or spin down. Because 46 of the silver's 47 electrons are arranged in a symmetrical cloud, they contribute nothing to the orbital angular momentum of the atom. 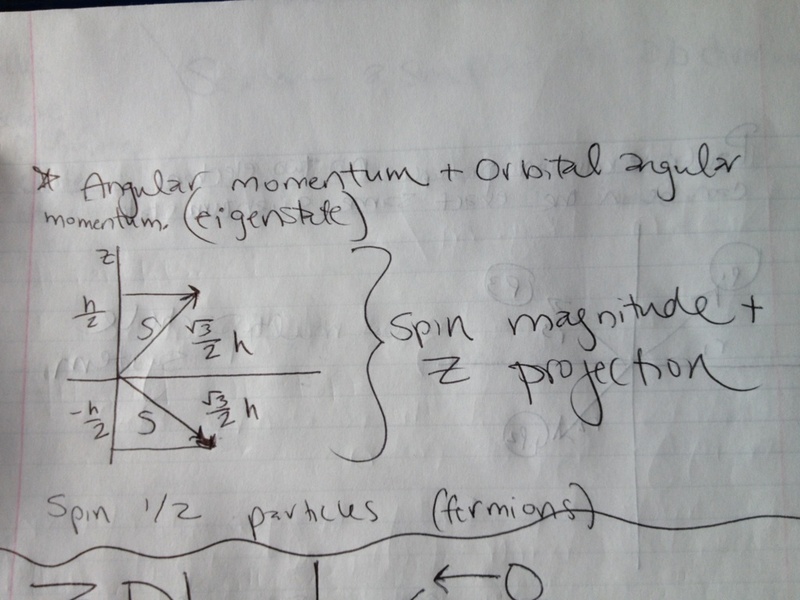 The 47th electron can be in the 5p state, the angular momentum is l=0 and the z component of angular momentum is 0. It could also be in the 5p state when the angular momentum is l=1, which means the z component of its angular momentum can be -1, 0, or 1. There are two possible directions of spin up or down. 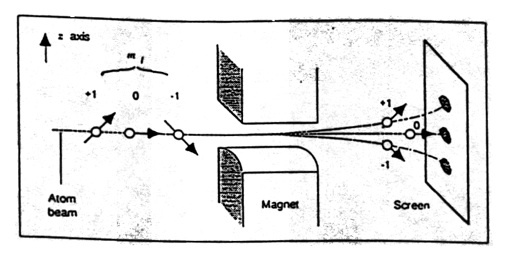 Electrons contain intrinsic angular momentum giving us angular momentum that interacts with magnetic field. Angular momentum other than orbital angular momentum is just spin. And depending of the spin of that 47th electron in the atom, there are two possible states of the spin up and down. This is similar to the spin of the earth, you can't stop it. And you also cannot stop the electrons from possessing spin. This goes for other subatomic particles that possess spin, such as protons. 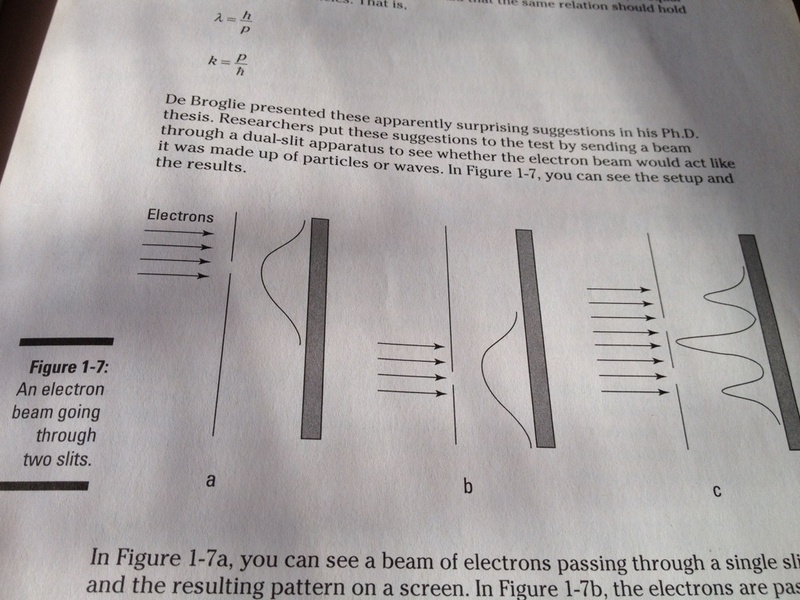 Another scary, wonderful thing about quantum mechanics is the interacting of two electrons. Identical particles do not retain their individuality in terms of any measurable, observable quality. You lose the individuality of identical particles as soon as you mix them with similar particles! As soon as you let N identical particles interact, you cannot say which exact is one at r1, r2, r3, r4ï¿½ Particles obviously have some identity problems. I mean they're just a discrete piece of matter, give them a break. Another cool thing about quantum physics is tunneling. A phenomenon where particle can get through regions that their classically forbidden to go. Are we getting this theme of classic, not being so classy to quantum physics? Mainly what I am trying to say is if I ever fall through the floor due to quantum mechanics, you can have my physics books. The police should really keep their eyes out for photons. They can collide into others, split and then rejoin again! They are tricky things. The basic interaction is called a vertex a fork in the road. 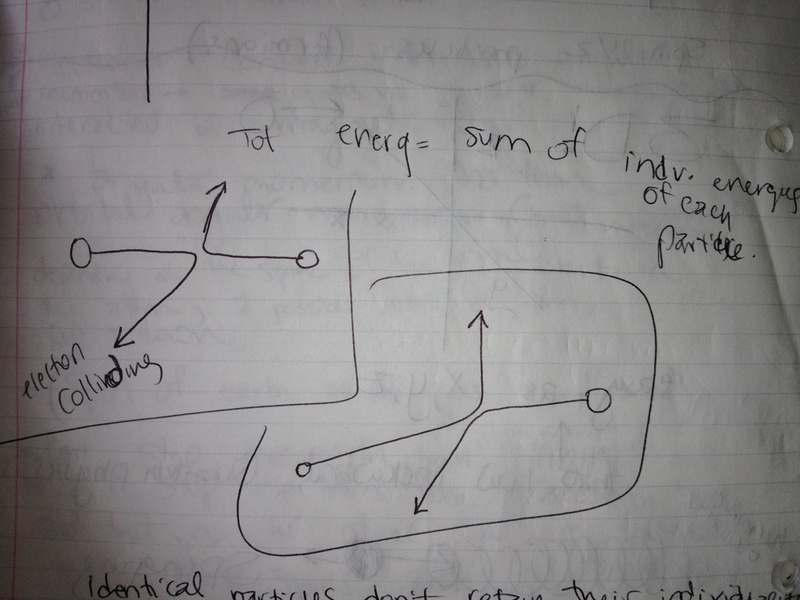 A particle proceeds along its world line, until it comes to a fork, but then, instead of choosing one road or the other, the particle splits and turns into two particles, one for each branch. A single electron, spontaneously, without any warning suddenly splits into an electron and a photon, each part is somehow less than the original. -Probability can be in negatives, but it is nonsense to say, getting heads over tails is a minus one-third chance, it just doesn't make sense. -The complex number, imaginary number, i, is abstract math for the square root minus one. 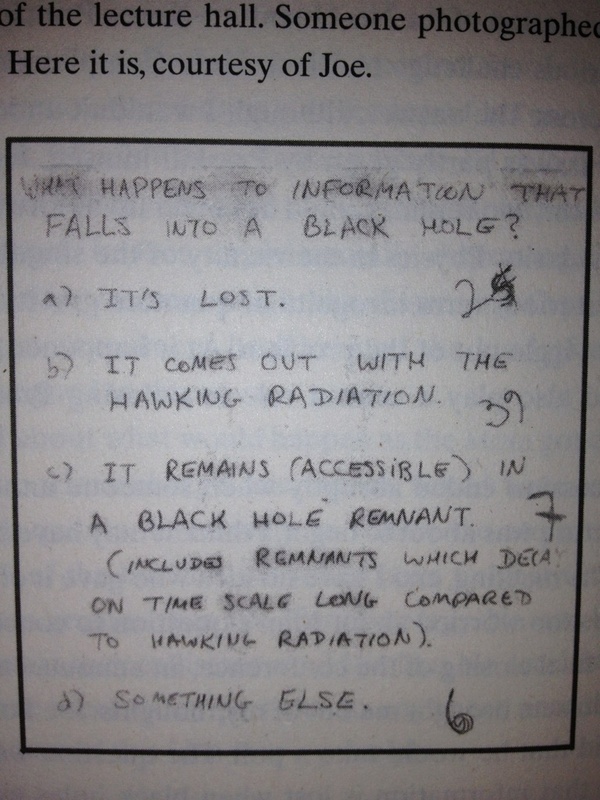 -Black holes are black bodies. -Even the coldest object radiates some electromagnetic radiation, as long as they are not absolute zero, which scientist have not yet reached. -If a black hole loses energy, it also loses mass. -Noise is just random unstructured information, like white noise on the screen of a defective TV set, which is why the TV keeps coincidentally turning on in Donnie Darko! Scary. -Mr. Fullerton's hair absorbs every color besides red. Previous entry Ice Cubes: the expansion of water. I'm so thrilled that you've found an area of science that truly captures your passion. This post represents a tremendous amount of study well above and beyond anything we'd cover in our regular course (or an AP course, or some college courses)... and that's in just a few days. I'm so excited to see what happens when you have even more time to explore!!! Modern physics is so hard to wrap my mind around! That may be why I enjoy it; I love all the theories. This is great and really interesting! Nice blog post! I love the references to Mr. Fullerton's hair and the cat in the box theoretical experiment along with the other pictures, especially the cartoons! 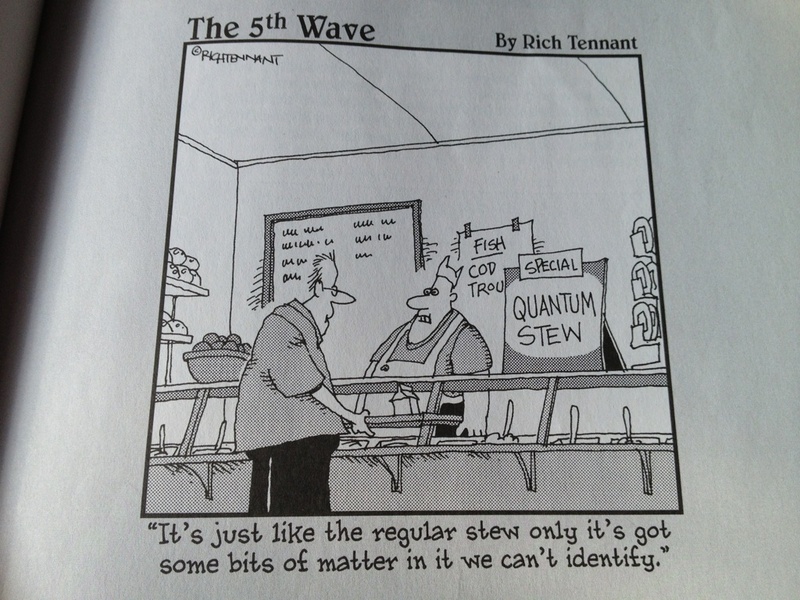 I still don't completely understand Quantum Physics but it is fun to just enjoy the mystery. It makes you wonder what else is in the world that because of the way we are created we can't understand by our own nature of how we understand facts that are presented to us. 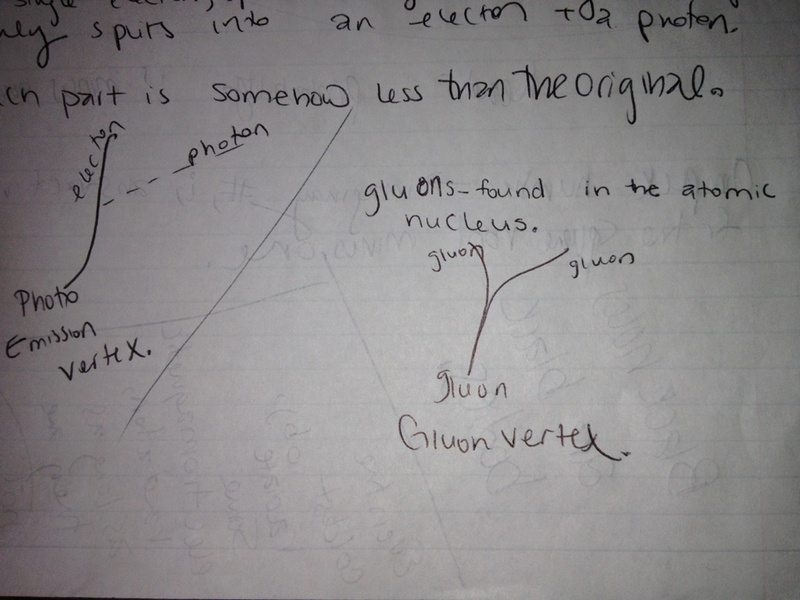 Really well done i can see you really like Quantum Physics and this is way better than my blog will ever be.